I was finally subjected to my first live performance of the season of “Feliz Navidad,” which ne’er fails to make me want to gouge my eardrums out with a knitting needle. I also was at a fancy office Christmas party on Friday night and the soul cover band kept throwing in trombone lines from Joy To The World and Sleigh Ride, etc etc etc. It brought to my attention the fact that this post is long overdue. I’ve got a pretty sizeable collection of “Christmas Music That Won’t Drive You To Drink Unless You Want To” — which just got a shot in the arm this year thanks to a rockin’ 3-CD compilation I received from Philly friend Brian (yay Brian!). That helps to slightly ease the sting of briefly having — and then cruelly LOSING — the vinyl Christmas With Elvis record last night at a houseparty with a white elephant gift exchange. It was mine. I was so excited. 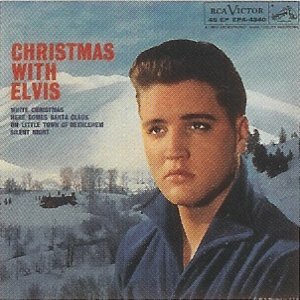 But now the doe-eyed Elvis (with those dewy lips, good heavens) is gone from my Christmas celebration, stolen by another gal, sending me home with a plastic candy cane full of little bottles of flavored Stoli instead. Losing the Elvis record…that definately makes for a Blue Christmas. Thank you!! I’ve finally found my holiday spirit after listening to some of these songs. Happy Holidays! Pete Yorn Christmas song! Plus other goodies! Thank you so much Heather! Merry Xmas! I love Stars, but I am yet to hear a bearable cover version of Fairytale of New York. Excellent post though, Heather! Merry Christmas. Somewhere the snow is falling and those home returning trains are carrying the hopes of the young – I love Christmas songs – thanks Heather. Have you heard Tom Waits ‘bawlers’ cd from the Orphans set yet? The version on there of ‘Young at Heart’ is gorgeous – there ain’t no other word for it. I’ve been downloading Christmas songs like crazy, but with everything I still have to do, I may just rely on your mix. 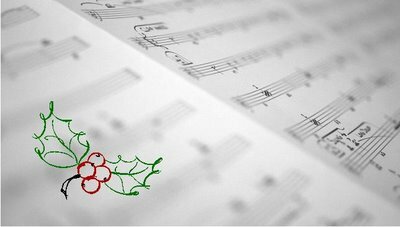 Happy Holidays, and thanks for sharing all the great music!! Just wanted to tell you that you have quickly become my favorite blog site. Thank you! Great stuff, thanks a lot. It’s especially nice to see the Eisley track up; I can’t wait for the second album. Keep up the good work. Rebel Jesus!? Only the best Xmas song ever! Have you heard the version from his Solo Acoustic CD that came out recently – it is chill bump inducing. You never cease to amaze me girl! Thanks a lot for this respite from the deluge of muzak versions of Christmas songs that are almost unavoidable this time of year. Happy holidays! That had to hurt! Thanks for the zip file. I hope you have a great holiday. these are the best christmas songs ever!!! I just wanted to offer my services … I have every song Elvis could have released on that vinyl record, so if you need some sent in your direction, you just say the word and I will do what I can to make your eyes smile once again. Everybody needs a lil more Elvis in their lives, after all. You need the electronic Coventry Carol from Ackers & G (AGK). Thank you very much for the christmas mix. I’ve been digging your mix from last year as well. keep posting the great music. Excellent post once again. Now all you need is the Colbert inspired The White Chrismas Album. So much fun this time of year. Awesome collection of tunes! Am feeling a bit more festive now after these and watching National Lampoon’s Christmas Vacation! Any chance of a re-upload of the 2005 collection of Christmas songs as the links don’t work any more and there’s some songs I really wanna hear there. Pretty please?! any chance we can get the 2005 mix available to download again? I need some REAL christmas music to listen to instead of the BS they play on B101 all day long… PLEASE!! you’ve got the best mix ever, heather! thanks! I put in a plug over at TTL for this very post alone. No schmaltzy crap, indeed! I love the mix Heather! Thanks for posting it and I hope you don’t mind but I lifted the Rooney track from you for my holiday mix. Techically I owe you for the Pearl Jam track as well but at least I already had the Stars song slotted for this year’s mix. Hopefully you’ll have better luck with Elvis next year but a stoli filled cany cane should help you get over the loss! Have a great holiday and I look forward to more great tunes from you in ’07! I love the mix Heather! Thanks for posting it and I hope you don’t mind but I lifted the Rooney track from you for my holiday mix (techically I owe you for the Pearl Jam track as well but at least I already had the Stars song slotted for this year’s mix!). Have a great holiday and I look forward to more great tunes from you in ’07!